Article submitted by Charge.com. Charge.com is a leading credit card processing company offering online and traditional credit card processing. In an effort to stay competitive, businesses have to accept credit cards. But if you’re a traditional brick-and-mortar retail shop or a family-owned business that has been in business for many years, you might be hesitant to change your ways. What’s more, navigating the credit card processing industry can be very confusing, not to mention expensive. How do you accept credit cards in your store? Do you need expensive equipment? And, how much does it cost? Here’s a brief look at how to start accepting credit cards. Choose a merchant account provider with low rates. The first step to accepting credit cards in your store is to open a merchant account. However, not any merchant account provider will do. 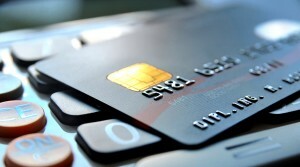 It’s important to find merchant accounts with low rates for retail or face-to-face merchant. We recommend rates as low as 1.59 percent for retail merchants. Once you open a merchant account, you can talk to your account provider about which credit card products are right for your store. For face-to-face retail stores, we recommend an electronic keypad terminal. Select a merchant account provider with good customer service. If you run a small business, you might not have the manpower to get your credit card equipment up and running. Most small businesses do not have an IT department, and there is usually one person handling many responsibilities. Select a merchant account provider that offers helpful training as well as comprehensive technical support. Stay up-to-date with your credit card equipment. Your merchant account provider should provide you with more than a merchant account. They should also provide you with the best credit card equipment on the market. When it comes to retail stores, this means having the latest electronic keypad terminal, one with thermal paper so you don’t have to worry about replacing the ink.